There’s a fantastic book out there that I would highly recommend to any creative professional called Show Your Work! by Austin Kleon. 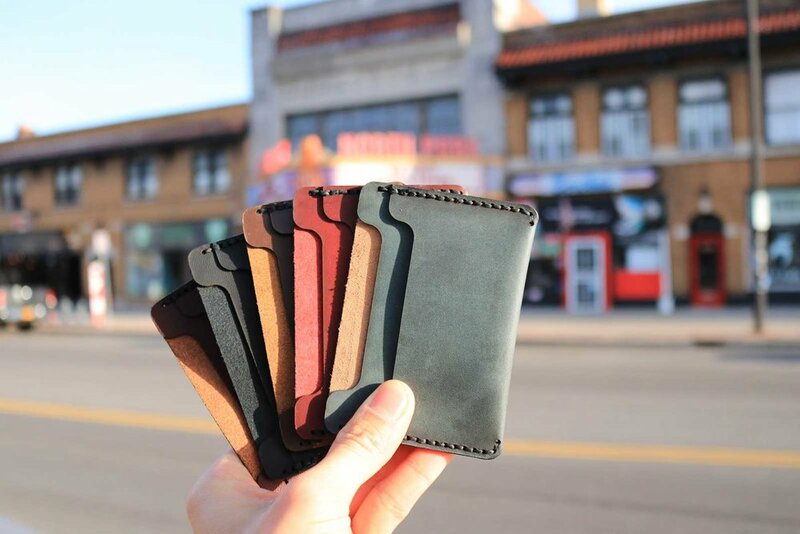 Instead of dwelling on all of the insightful information from the book, I’ll tell you about my story of sharing my process of making these leather wallets and how that quickly led to me officially starting my leather goods business, which you will hear more about in a future post. As a designer and architect, I’ve always found it sad that we develop so many beautiful projects that are submitted to our clients and archived in our servers. In fact, if we look through all of our completed proposals and projects, I have a feeling that we would find hundreds and thousands (depending on the size of your firm) of graphics that were well ahead of its time or captured an idea in a clear way. Translating this idea into my goal of making 100 leather wallets by hand, I decided to share some high quality photographs of the wallets along the way. Every week, I did my best to either share a great photograph of my progress taken with my DSLR camera with natural lighting on Instagram, or share a “story” on Instagram where I attached a poll with the photograph. Each time I did this, I had a great reaction from my friends and followers who quickly expressed interest in purchasing one of the items! As I continued making progress and sharing more photographs, my friends and followers started sending direct messages with the same question, “Where can I buy one? !”So, with very little money invested into marketing, I somehow managed to get myself more customers than I could count on one hand. By simply sharing my progress and being honest with my followers, I had so much engagement, which honestly boosted my ego in this new venture, and helped me stay motivated to finish the project. Once all of the leather wallets were complete, I brought them outside on a beautiful early morning and took some photographs around the city. The first one that I tried to take was of me holding the wallets up in front of the camera, which came out great, but the colors were tinted orange from the sunrise. Awesome idea, but needed a little more planning. Next, I brought the wallets to a nice red stone bench outside of a local church and arranged them together in a group to show the color ranges and styles. These photographs came out beautifully and I really think that the colors of each one were captured very well. I also separated all of the leather wallets and photographed each one individually. With so much going on at my architecture firm, I’ve found that having a hobby outside of the field has really helped me maintain my sanity and re-engage the design area of my mind. Although my 30x30 projects did this for me as well, focusing on architecture all day and night for the past 10 years has really started taking a toll on my brain. Needless to say, I’ll be continuing this leather working hobby and building a business around it. So be sure to check out more of my products and my shop when it’s officially online!